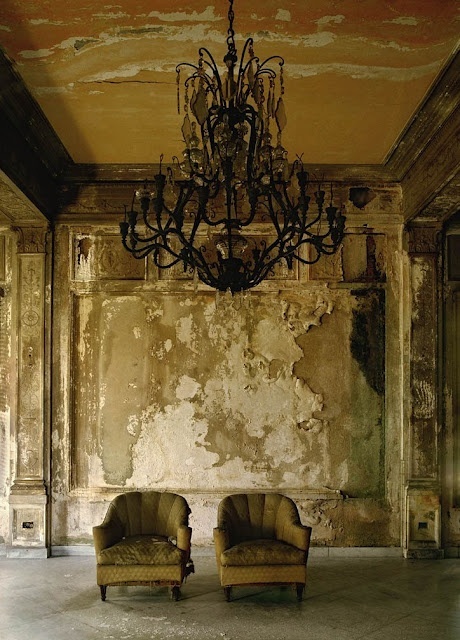 Some find beauty in decay, disrepair and disuse. Forgotten buildings, abandoned cars and overgrown graveyards. Sound poetic? Not my bathroom. That room is in disrepair, constant use and just plain ugly. How to Revamp a Bathroom cabinet and sink. 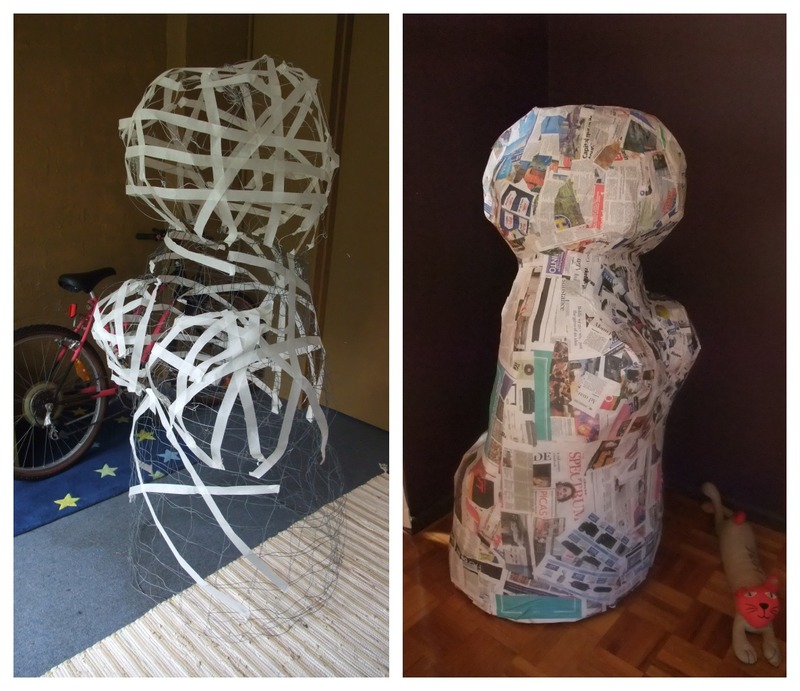 Since I was working with spray paint, I covered surrounding areas with newspaper. Glued a stencil sheet to the basin surface and starting spraying. Once dry, used a white interior paint and rubbed over surfaces to make a chalk board like effect. 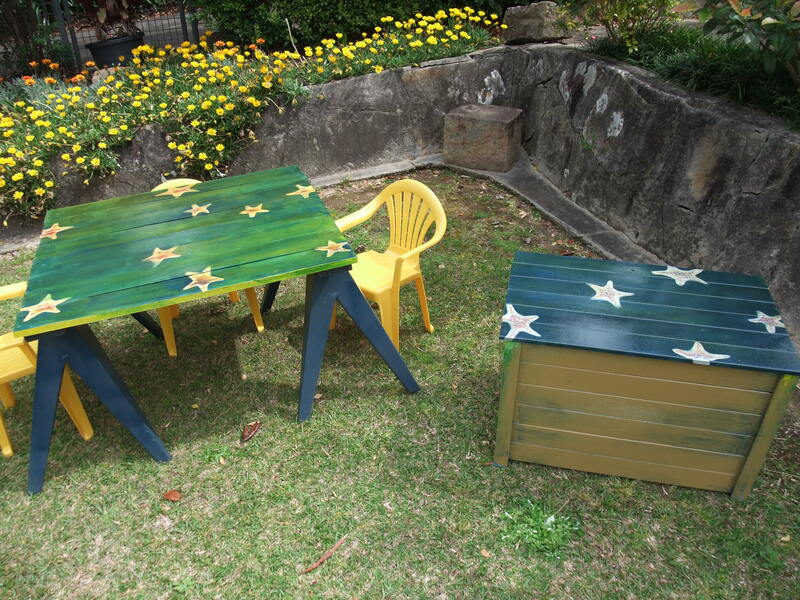 Categories: Art, crafty, DIY, Refurbishing, Spray paint | Permalink. The starfish is a star shaped marine animal with spiny skin (echinoderm) and typically 5 legs. If a starfish drops a leg in combat, it grows back within a year. If a starfish is chopped into pieces, each piece can grow into a whole new starfish! Pretty clever, for something that has no brain. 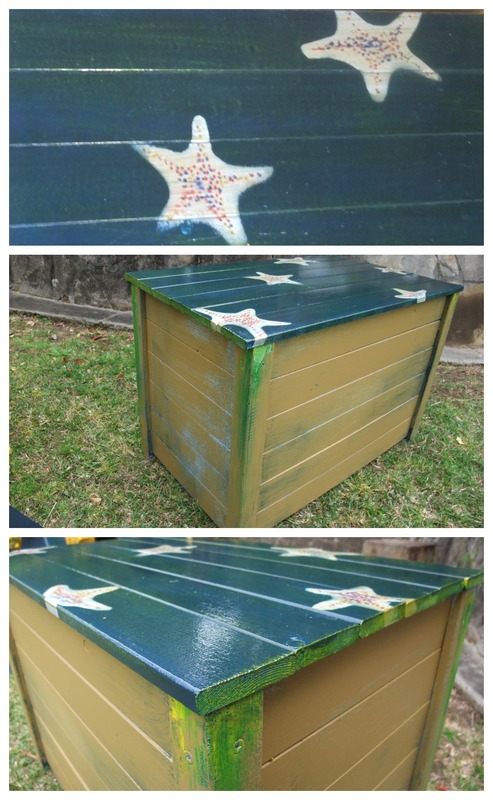 In tribute to this re-generative, brain-dead echinoderm, I refurbished a children’s table and toy chest, “starfish” themed. The toy chest was originally a light lilac blue colour. Around the sides of the chest, I randomly spray painted parts in Ocean blue. Then with thick brush strokes I painted mustard to resemble sand. Lastly added green and yellow tinges along the corners with oil paints by smearing down with a cloth. 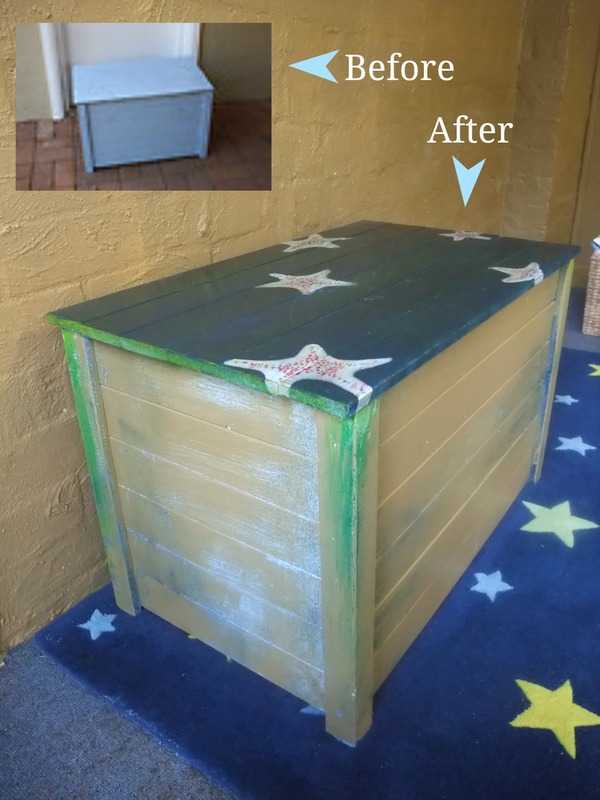 I painted the interior of the toy chest and just the top of the lid in white. Once dry, lightly glued paper shaped starfish to surface. Spray painted with two coats of Ocean blue. 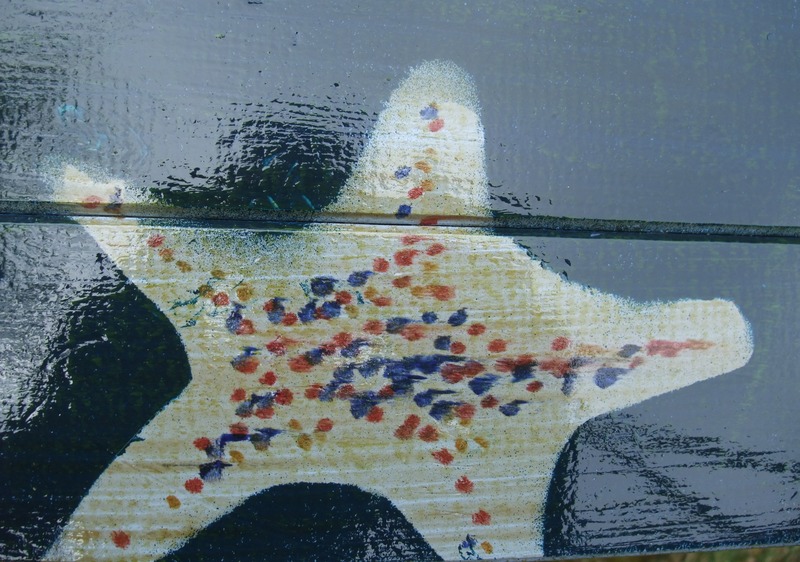 Removed paper star fish and painted dots in the centre and along the arms of stars with oil paints. While still damp I painted the surface with a coat of varnish to make the dots look a little smeared, like water passing over starfish. Husband drilled planks of wood along the two saw horse legs. With a thick brush I painted both the table top and saw horse legs with British Paints White Opal. Then spray painted the legs with two coats of Ocean Blue Killrust. Using standard A4 paper, I cut out a few starfish shapes and lightly glued them to the white table top. Sprayed over it with Ocean Blue Spray paint. Removed the paper stars and painted dots in the centre and along the arms of stars with oil paints. 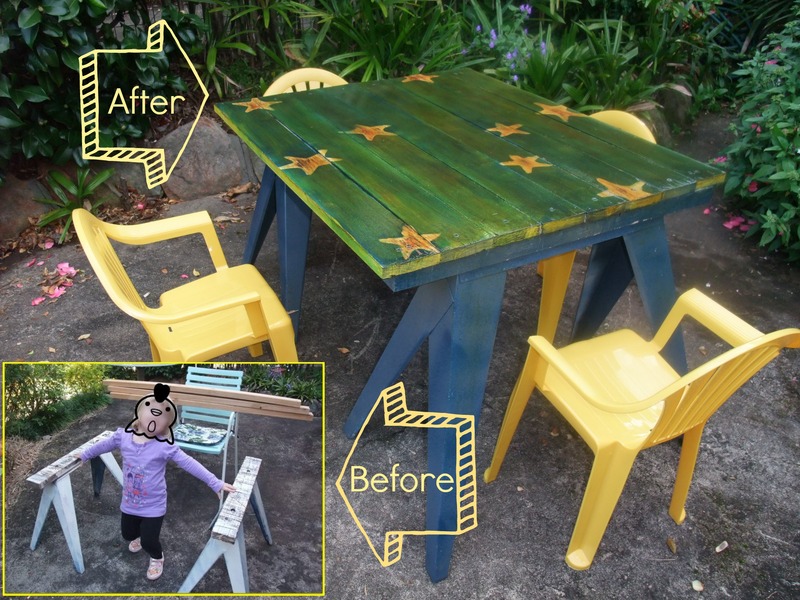 While the table top was damp I varnished the surface, mixing in a touch of yellow oil paint to give it a blue-green streaky tinge, like sea water covering starfish. Categories: Art, Craft, DIY, Refurbishing, Themed | Permalink. Which little girl can resist everything that is Alice in Wonderland? You’re lured in by the white rabbit in his waist coat and watch, only to see Alice follow him and fall down the rabbit hole. Things only get better from here. In her quest to find him she takes advice from a blue caterpillar smoking a hookah, attends a mad tea party and plays croquet with the Queen of hearts. All the while she nibbles on biscuits and mushrooms causing her height to fluctuate from three inches to a mile high. The story is peppered with the most curious riddles, dialogue and personalities. 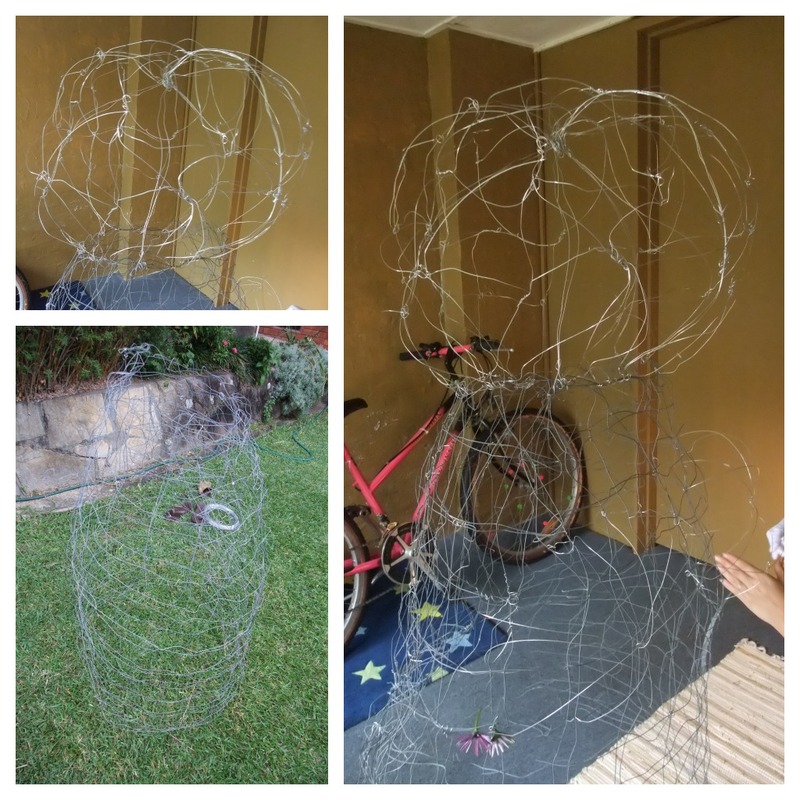 To make the frame for the Queen of Hearts, I rolled chicken wire into a torso like shape and secured in place with small snipped pieces of wire (children’s band aid size). Head and buxom bits made with wire from a wire roll, also secured in place with small wire pieces. Wrapped tape all around the frame to secure and to give the paper and glue more surface to stick to. With ripped up pieces of newspaper layered several layers of paper mache, making sure each layer was dry before adding another. 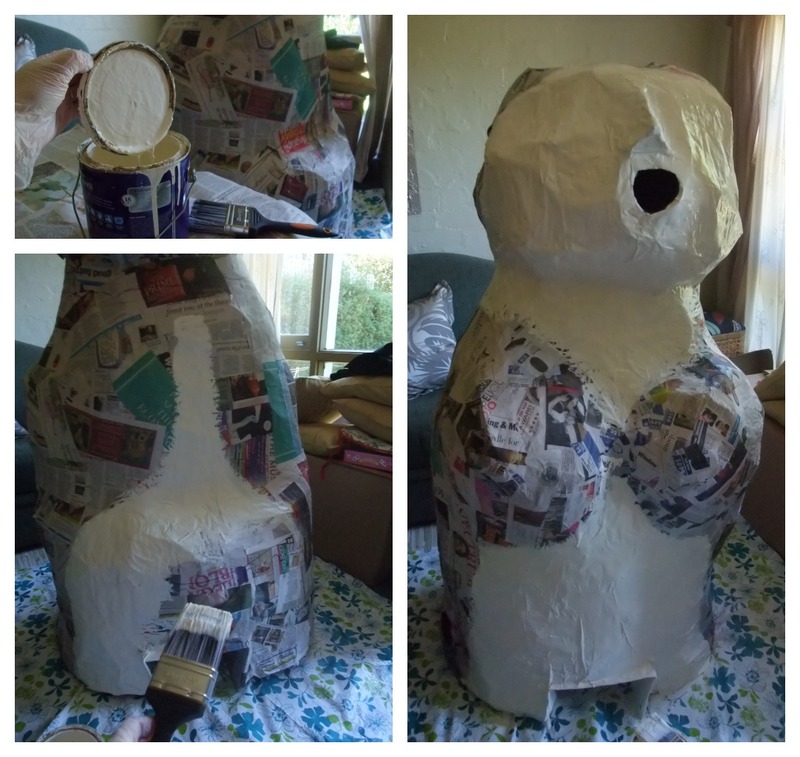 Once the paper mache figure was completely dry, using a thick black marker I traced out the shape of her dress. 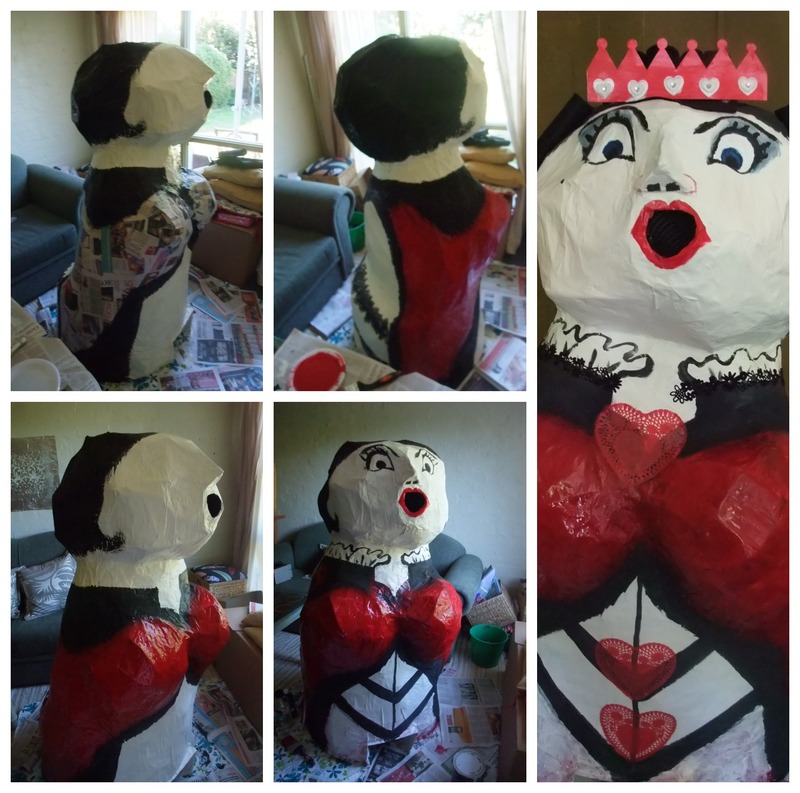 Painted her head white and the white part of her dress, then gradually added more layers of paint: black for her hair and the outline of her dress, the red of her dress, glued on red paper doilies and crown. Last but not least, her facial expression …slightly shocked! Husband cleverly engineered an interior tube and a square hole centred at the bottom of her dress. 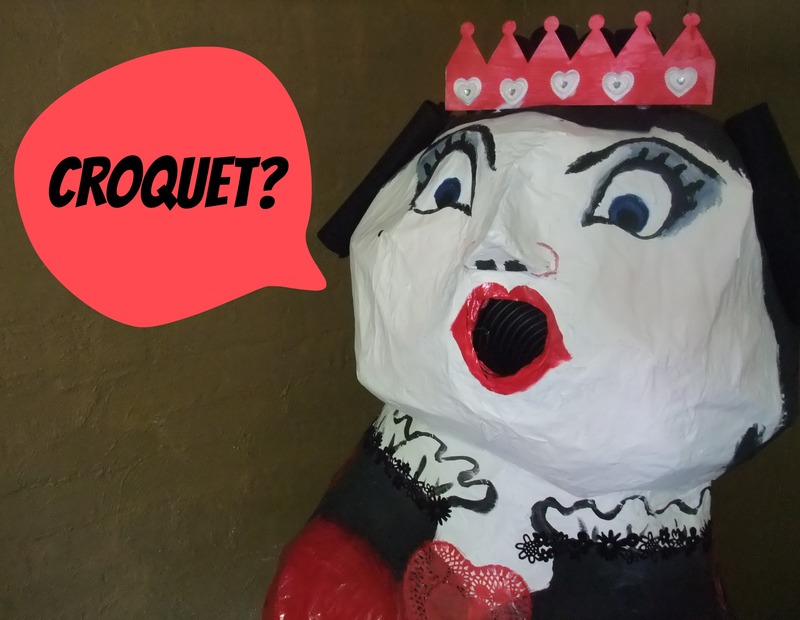 The Queen was versatile: a party prop and the starting point for playing croquet. Kids placed a tennis ball in her mouth which rolled out her side, shooting out onto the grass which they then croqueted along the lawn! 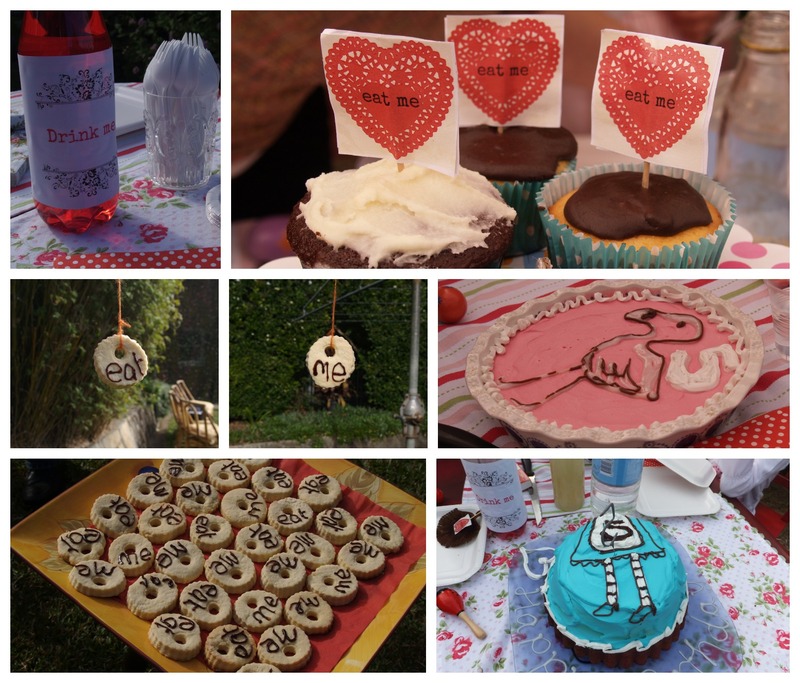 Some of the additional themed party decorations and food I made. 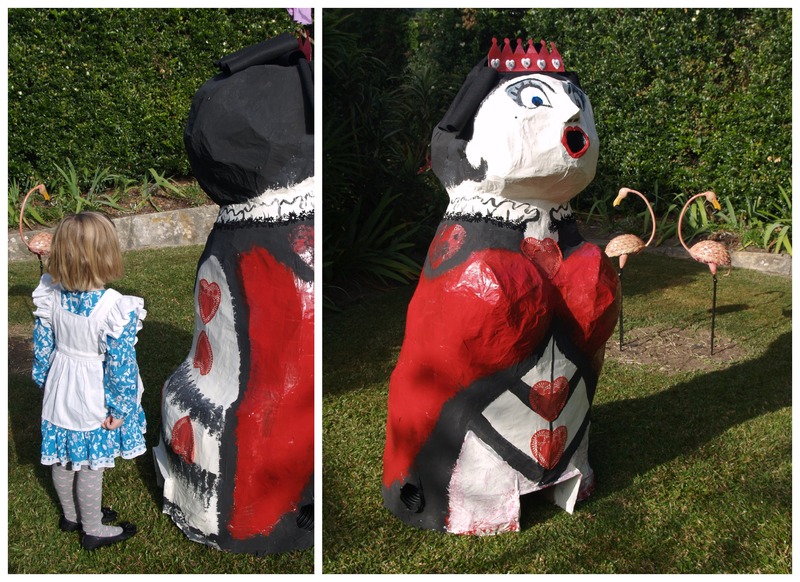 Categories: Alice in Wonderland, Art, Craft, kids, Themed | Permalink.